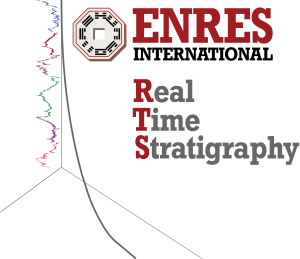 ENRES International is currently developing RTS (Real Time Stratigraphy), a new software product that will help you to reduce the risk and costs of missing the landing point of a deviated well. Accurately correlate Logging While Drilling (LWD) data to a stratigraphic framework or calibration well, using trends and turning points in live INPEFA® curves. Knowing the stratigraphic position of the Bottom Hole Assembly (BHA) is the key to successfully landing a deviated well. Drill faster. Live INPEFA® curves are displayed in real time, right at the moment of LWD data acquisition. Therefore, RTS is much faster and cost efficient than methods that require surface analysis of cuttings. Keep the BHA simple and robust. RTS does not require any tools on the BHA next to common, robust LWD tools that measure lithological properties. Keeping the BHA simple and robust has multiple advantages: higher Dog Leg Severities (DLS) are feasible, the risk of tools breaking down in harsh drilling environments is limited and there is no need for sources of radioactivity on the BHA, reducing HSE risks. Use Gamma-Ray (GR) logs for directional drilling. Resistivity logs are often used for correlation and directional drilling. RTS can use any log that reflects lithology, such as the natural Gamma Ray (GR) log. This is highly advantageous when drilling underbalanced wells.